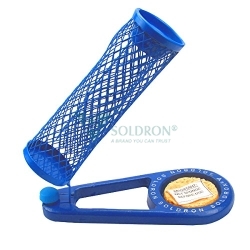 This is our new and exclusive ergonomic design for a sturdy, safe and efficient soldering stand. 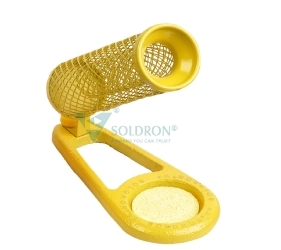 Made of high quality cast iron for long life and efficiency. 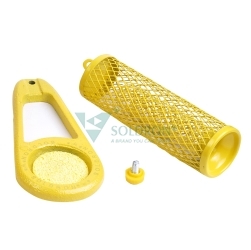 The mesh iron holder gives higher safety than spring holder to avoid any incidents. Comes with a sponge for cleaning your bit.